Sometimes in life spit happens. 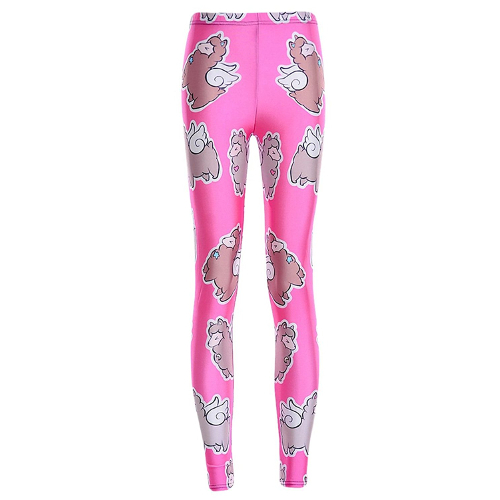 Keep calm and love llamas, not drama with these pink flying llama leggings. Not only is the llama design adorable with a little heart, but the leggings are fantastic to wear. They are silky smooth and not see through. Perfect for some llama yoga!